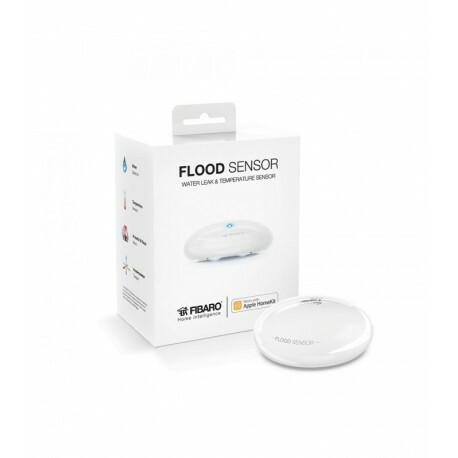 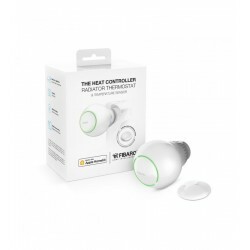 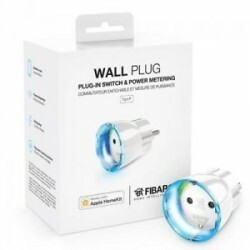 The FIBARO flood sensor is a water sensor enabled for HomeKit that uses low energy Bluetooth® technology. 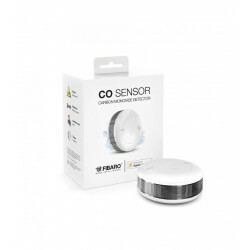 In addition to detecting floods, the accessory measures the ambient temperature. 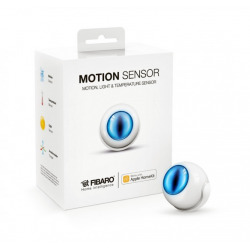 The manipulation is detected whenever the accessory is moved or the housing is opened. 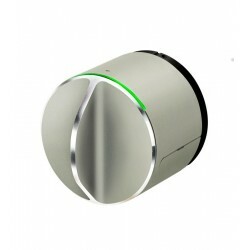 Built-in LED indicator and acoustic detection of water signals and manipulation. 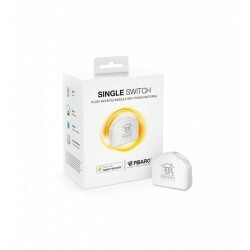 The LED can also be used to identify the accessory. 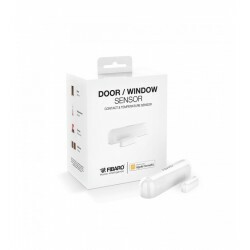 The accessory is designed to be placed on the floor or mounted on a wall (in this case, the sensor must be extended with an external probe). The accessory is sinking proof, which means that it moves over the surface of the water and continues to send an alarm signal in case of substantial flooding.